The Sisters of Misericorde were a religious congregation founded by Marie-Rosalie Cadron-Jetté (1794 - 1864) in Montreal, Quebec, in 1848 and was dedicated to nursing the poor and unwed mothers. The Institute of the Sœurs de la Miséricorde reminds us of the essential role played by religious congregations in 19th-century Montreal life. 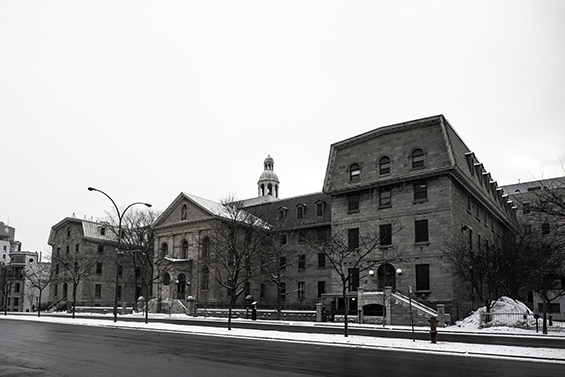 The Institute holds a place of major importance in the built landscape along Rue De La Gauchetière and Boulevard René-Lévesque, in particular because of the commanding presence of its classical architecture, featuring grey stone buildings, and the tree-filled courtyards that flank the chapel. 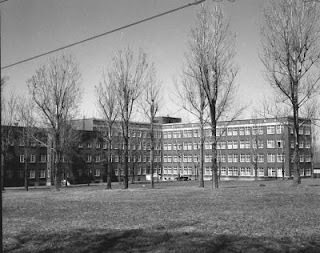 Founded in 1822, at the British and Canadian School one teacher would oversee hundreds of students, with the older students instructing the younger ones. Modern day teachers may not approve, but it was an effective way to teach reading, writing and arithmetic to working-class children. 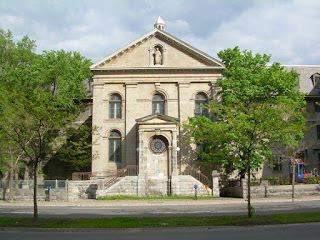 The rebellions of 1837-38 ended that experiment. French parents pulled their students out of the school and it was eventually absorbed by the Protestant School Board of Greater Montreal.